If you own a condo in Phase 1 of Playa Vista, or if you’re looking to buy, you can use the phase 1 market tracker to notify you by email when a new listing comes on the market, when it goes under contract and ultimately for how much the home sells. This tool will keep you up to date about the current value of your home and the overall phase 1 condo real estate market! 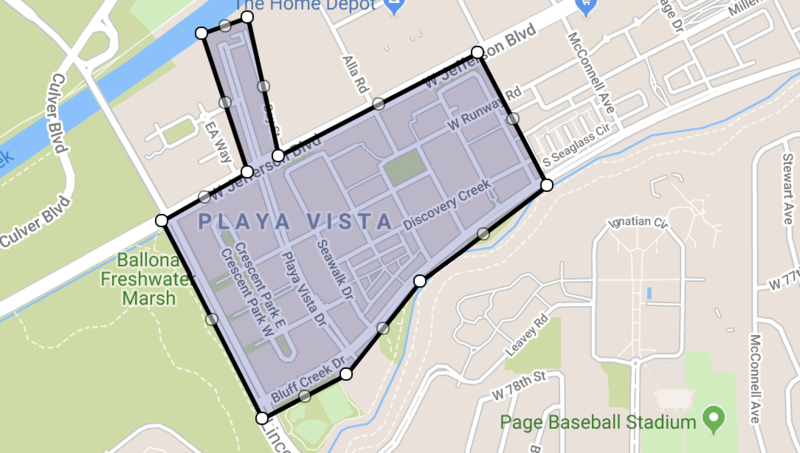 Playa Vista Phase I is considered to be all of the homes East of Lincoln and West of Dawn Creek with the LMU Bluffs bordering the South and Jefferson Blvd bordering the North. There is just one community North of Jefferson Blvd, Bridgeway Mills, that is also part of the first phase of Playa Vista. Within this section of Playa Vista, there are a wide variety of floor plans and building themes. The majority of the condos and townhomes were built from 2004 to 2007 with Primera Terra being built in 2011 and Seabluff completing late 2018 early 2019. About 75% to 80% of the condos are two bedrooms or two bedrooms plus den floor plans. The remainder are either 1 or 3 bedroom options. For a complete list and description of the communities in Phase I of Playa Vista you can go here to see them all. Each community guide has a description and link to the current homes for sale as well as homes that have sold over the past 90 days.